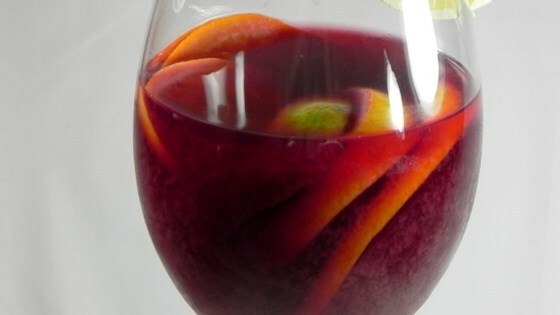 "This is an authentic version of the popular wine drink. You can add any fruit that you want, but I find that apples and pears absorb all the rum. This one is not diluted with carbonated beverages. I have much success with red Burgundy wine and white rum, though spiced rum is nice too." I just got back from Seville and this was so close to the real thing...Two glasses will have you GOOD for the rest of the night. Start out with less rum-- you can always add more later. Made a double batch for my husband's 50th birthday party and didn't have a drop left. Used spiced rum and made ice rings from fruit and Sprite (so they wouldn't dilute it). Fabulous!